Komal Mehta has worked extensively in the field of Dietetics and has indulged in counseling and educating the public about the importance of healthy lifestyle. A Diploma holder in Dietetics and experienced in Clinical Dietetics, she has worked in hospitals like Asian Heart Institute and counseling Endocrine patients at Dr. Shashank Joshi's Clinic. Her own fitness mantra is ‘Health is the greatest of all possessions as it is a complete harmony of body, mind, and soul’. Food should be our medicine and medicine should be our food. Komal uses her diet counseling as a strong base and imparts good knowledge on managing hectic daily routine and stress. She believes in compilable prescription and goals since she considers individuals’ likes/dislikes along with overall lifestyle. According to her, the secret of getting ahead is to get started. When it comes to stress, we often talk about work pressure, personal issues or chronic disease. But there are other elements that influence stress as well. For instance, in your experience, have there been times when you constantly feel tired but can’t explain why? You feel overwhelmed by situations you could handle easily? Do you find yourself drained of energy you may have enjoyed once upon a time? Have you struggled to get out of bed in the mornings even after sleeping for long hours? If this sounds familiar, there is a chance that you are suffering from something called ‘Adrenal stress” or “Adrenal Fatigue”. Simply put, your adrenal glands may be under-performing. All that chronic stress you have been masterfully coping with has finally caught up! Your adrenal glands are responsible for supporting you and sustaining a level of vigilance. Adrenal Stress happens when they show signs of strain. Is this a death sentence? No! But it is a sign of imbalance. Chronic stress is a part of life. But if left unchecked and unassuaged for too long, it can lead to hormonal depletion, exhaustion, and adrenal fatigue. To understand the above, we need to understand how health and metabolism are affected by hormones. One of the glands that play an important role in metabolism is the adrenal cortex. The adrenal cortex gland releases hormones which are vital for biological function. To be more specific, there are two parts which release hormones – Adrenal cortex and adrenal medulla. Adrenal cortex hormones regulate sodium levels, salt, and balances blood volume which directly affects blood pressure. Another hormone (Cortisol) regulates metabolic rate of carbohydrate, proteins, and fat. It also regulates immune responses. It is responsible for suppressing inflammatory reactions. So it is a potent anti-inflammatory hormone. Finally, the adrenal glands are best known for secreting the hormone adrenaline, which rapidly prepares your body for action in a stressful situation. When you are stressed, the hormones of the adrenal medulla are released after the sympathetic nervous system is stimulated. The adrenal medulla helps you deal with physical and emotional stress. You want these responses to happen. From an evolutionary perspective, it’s part of why we have survived for so long as a species. If you encounter a stressful situation, you want your body to fire up stress hormones to feed you energy and adrenaline. You WANT to be able to run from a potential threat or beat it back. The problems come in when you have that relatively high level of stress but then don’t actually end up using that extra energy in the form of movement. During times of stress, there are actual physiological changes that happen in our body. Most of them are helpful for our survival (such as in the situation described above). But, if we continue to experience stress and we don’t actually end up running from our perceived threat or beating it back, those stress hormones increase our blood sugar (in an effort to give us energy) which then requires insulin to bring it back down. In the short term, it feels like an energy crash. In the long term, it can lead to weight gain. When the adrenal glands are overworked, the body prepares itself by storing fat. We crave food, indulge in binge eating and we gain weight. Adrenal imbalance causes a number of issues, including the abdominal fat deposition. When we have long term stress, both insulin and cortisol remain elevated in the blood, and the extra glucose is stored as fat–mostly in the abdomen. Studies suggest that fat cells have receptors for the stress hormone cortisol, and there are more of these receptors in our abdominal fat cells than anywhere else in our bodies. Moreover, belly fat is an active tissue, which responds to stress by depositing more fat. This cycle can not end until a step is taken to tackle the root cause of stress. Go Easy On Food: Eating small and frequent meals helps cortisol balance the blood sugar and take off some stress. Cortisol counterbalances the action of insulin. Under stress when cortisol levels are elevated, it results in a perpetual need for insulin. Eventually, our bodies can develop resistance to it. Hence the name “insulin resistance”. In other words, our body can become less sensitive to insulin, forcing it to produce more for the same effect. If it stops to work altogether, that keeps glucose levels high in the blood. Time to Eat: Our body has circadian rhythms which work closely with cortisol, which is highest in the morning and gradually declines throughout the day. When we eat we elevate our cortisol, so it is best to start heavy with breakfast and go light post evening. Heavy evening meals are the prime reason for an expanding waistline. A Higher waistline is associated with metabolic and lifestyle disease. Unplug: Give time to yourself. Unplug means a disconnect from cell phones, laptops, work, any digital devices. Take out sometime which you spend only with your thoughts. It makes you realize your priorities and your goals better. Sleep: As this gland also controls our circadian rhythms, it is responsible for our sleep cycle. Good 8 hours of sleep will make you take fewer calories through the day. Lack of sleep also makes one drowsy and ends in low energy levels creating stress. Maintain an 8 hour sleeping time for the body to regenerate. Workout: Exercise is the best remedy to reduce stress by releasing pent up energy. As stated earlier, the whole reason our bodies respond to stress by producing more cortisol is so that we have energy available to spend. Having more energy isn’t a bad thing if you actually use it. The best way to reduce stress levels is to have fun! Having fun and laughing should become one of your top priorities in life! It has multiple benefits, one of them being stress relief. Looking at the day ahead, ask yourself what is that one thing you can do for your body to support your adrenal glands? Then ask yourself how you can set aside some time for fun! Want to know more about the adrenal gland and stress? Share your questions with us in the comments below! It’s summer—that amazing time of year when fresh produce abounds. We need to relish the fresh produce as summer brings in lots of nutrient rich, healthy choices. But, what about the scorching heat and associated dehydration, perspiration, rashes, itchiness, tiredness which we experience in summer. Well, of course drink more water!!! Everyone knows that, also, add some lemon juice and watermelons to keep you hydrated. Have you ever tried any other natural coolant? Let me remind you of these food products our grandma used every summer to keep the heat at bay. Kokam: Kokam juice is a very refreshing drink with cooling effect on the body. 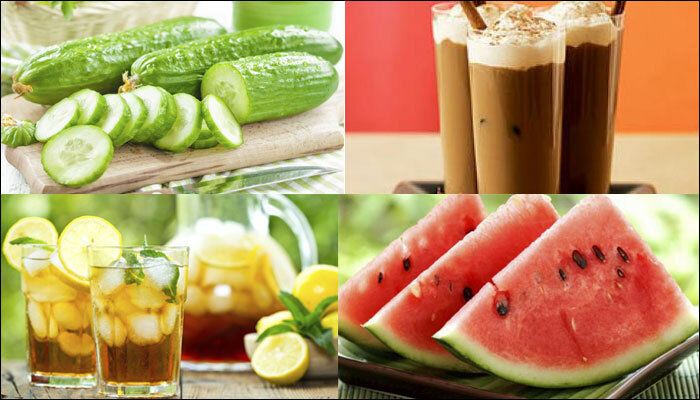 It not only quenches the thirst, but also prevents dehydration and sunstroke due to summer heat. Kokam has other health benefits like, garcinol present in kokam is an excellent antioxidant and anti-inflammatory hence inhabits cancer cell growth. Also, hydroxyl acetic acid helps reducing the conversion of carbohydrates to fats, so it prevents fat deposition. Dried black currents: Dried currants are also an excellent source of nutrients that are essential for health, including dietary fiber, copper, manganese and potassium. Potassium allows electrochemical balance that allows muscle contraction and nerve cell impulse transmission to occur properly. Because of water loss potassium becomes important. Fennel seeds: Fennel is an aromatic and flavorful herb that has several culinary as well as medicinal uses. In addition to its popular use as a breath freshener, it helps relieve a number of ailments and facilitates better health due to its anti inflammatory, antimicrobial,expectorant, diuretic, anticarcinogenicand antioxidatIt contains vitamin C, potassium, manganese, iron, folate, and fiber. It is also rich in phytonutrients and has a high concentration of volatile oils. It cools the body off by increasing perspiration and maintaining body temperature. Rock sugar candy or Mishri or khadishaker (in Hindi): Mishri or Rock Sugar is crystallized sugar, sweet candy is packed with numerous health benefits. Mishri is widely used as a refreshing drink during summers, Fennel seed powder with ground mishri makes a refreshing drink to fight harsh summer heat. It exerts a soothing effect on the mind and body and relaxes you from stress. Sattu or barley water: Sattu has extremely good properties for your health. It is extracted from barely, wheat or gram. Mix sattu, little lemon juice drops, salt and roasted cumin powder to get a very healthy drink. Salad leaves, especially mint leaves. With all these food always go for light diet which can be easily digested by our body without much effort. Oily and junk food should be avoided.Avoid too much of tea and coffee as it contains caffeine which results in dehydration. Restrict tea and coffee to two cups a day. You can switch to green tea as it contains antioxidants which are great help to body during summer seasons.Do not eat spicy, hot and extremely salty food as they are hard to digest and will have ill effects on the skin. So keep cool and Have a happy summer!! Moderation is key holds true for all including people who are diabetic. There is no specific diet plan or pattern for Diabetes. It’s the small changes that you make with foods that will in turn help you normalize the blood sugar. Have small and frequent meals: Having small meals will control the sugar spikes. Long gaps between meals can increase as well as drop the sugar. Long gaps also leach out energy and makes you tired. Having 4-5 small meals with balanced carbohydrates helps managing sugar well. Choose the right carbs: All the grains have carb, be it potato or oats, it’s the quality which matters. Opting for carbs allowing slow release of sugar are best to choose. Carbs with high fiber content like whole wheat flour, Jowar, Ragi, Oats can help control sugar as it will release the sugar slowly and control blood sugar not showing those spikes. Avoid processed foods: We all know refined foods; packaged foods are not that great for our health. With diabetes, it affects the blood sugar directly. The refined food gets absorbed very easily as it lacks fiber and can help increase sugar. Always add lots of vegetables or protein rich food if you have to have a packaged food and portion control always works for best results. Include Fiber: Fiber plays an important role in digestion of food. Fiber not only delays sugar absorption but also binds cholesterol and reduces the risk of obesity, heart ailments. Don’t think twice add those raw salads, soups to major meals. Cut down fat: There is nothing wrong if the fat is coming from right source. All vegetable fats from avocado, seeds, nuts like peanuts, almonds, home- made ghee are all good to go. Just make sure it is in moderation. Good fat helps you manage weight which has direct relation with sugar control and in a way also helps release sugar slowly as fat takes time to digest. Exercise: How much ever you control over food but if the muscles are moving you get to see the best results. Just a 40-minute brisk walking increases blood circulation, manages weight and fat metabolism. Every 5% reduction in weight has positive result with diabetes, heart health and overall wellbeing. Cut out the refined sugar: Aim to have as less sugar as possible. Direct form of sugar results in major spikes. Cutting on refined sugar, cadies, cakes, pastries definitely gets the sugar high and it stays for 3 months as the blood RBC is made every 3 months. High HbA1c is associated with long term complication. It is best to try and keep the HbA1c in control by having a good portion control with right choice of food. Don’t fall for that diabetes friendly, sugar free products. Just choose from the natural foods available to have desirable blood sugars. It’s not as difficult just a few choices that will make you feel better and keep you in best of health. 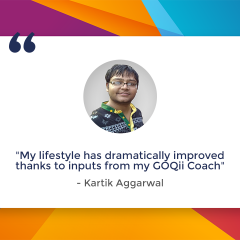 Recently, we featured a story of a GOQii player Natarajan Vishwanathan who almost was on the sidelines of life two years ago due to being overweight, lack of exercise regime and no proper nutrition. 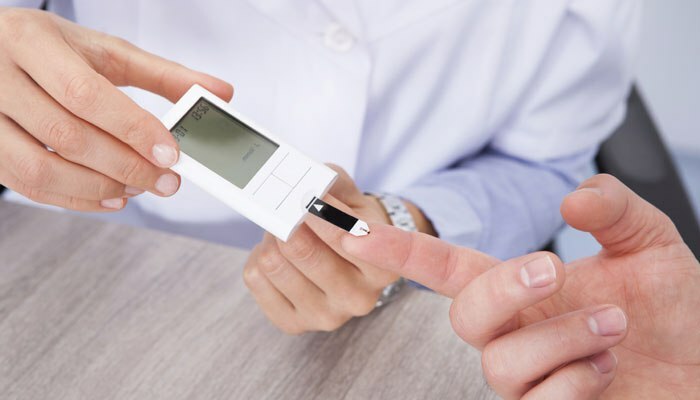 A visit to the doctor and subsequently followed with a full body check-up revealed that despite all tests were normal, he was bordering on diabetes. 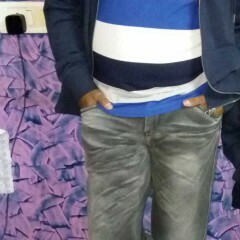 He did have a family history of diabetes and above all his doctor warned him and asked him to reduce weight and get fit. All he did was a lifestyle change and today his prediabetic condition is under control and he runs 10 km now four days a well and his goal is to run the marathon this year. Getting tired very easily, Fatigue, Black patches around Neck, elbows, knees, knuckles, arm pit or blurred vision, increased thirst than normal, frequent urination, losing weight in spite of eating moreetc are all signs associated with Diabetes. Diabetes develops gradually. Prediabetes is pre-diagnosed diabetes, wherein, the blood glucose levels are higher than normal but not as high to be classified as Type 2 diabetes. Prediabetes is reversible with lifestyle changes. Glucose is required to give energy for various activities. Insulin is the key which allows this glucose to go in the cells. When body is not producing enough insulin or Insulin is not able to enter the cells because of excess fat around cells, the glucose in the blood rises. Prediabetes is reversible, Lifestyle changes can have positive changes. And, this has been proved by Vishwanathan. 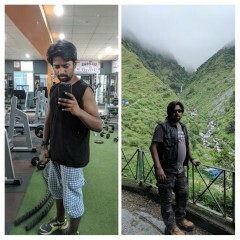 All that his lifestyle coach did was to get him to improve his improved nutrition by focusing on high fibre, high protein and small frequent meals, Millets were introduced in his diet, he cut down on fruits at night and salads were added to his meals. 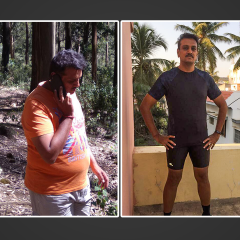 He started exercising simultaneously by going for morning walks and has now started running.These are simple changes that every prediabetic can follow. Having said that let me share few simple points which can delay the process of type 2 diabetes and have a positive impact on overall health. Weight loss: Reducing 5 to 10 % of body weight can cut down the risk of developing diabetes. 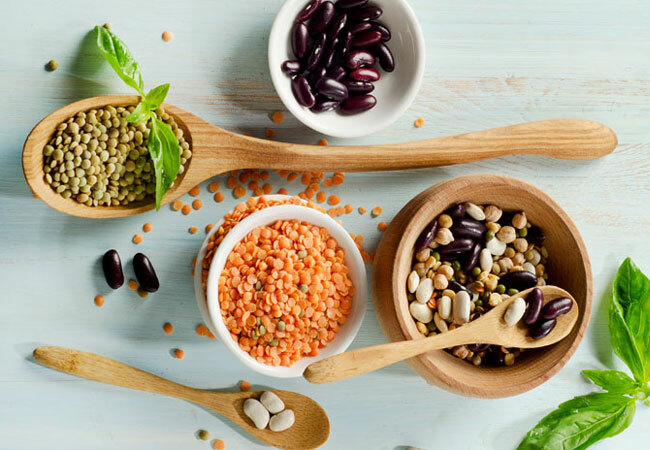 Eat healthy: Include soluble and insoluble fiber rich food with low glycemic index like whole grain, whole pulses, dals, beans, vegetables, oats, whole fruits, nuts. Fiber controls blood glucose spikes and also improves insulin resistance. Protein too helps control sugars. Get active: Exercise can lower blood glucose levels and lower the insulin. 150 minutes of moderate activity per week i.e. 30 minutes 5 days a week is recommended. It could be walking, swimming, cycling, jogging. One can split the exercise through the day. Moreover, exercise will help reach desirable weight, healthy for heart, controls lipids and blood pressure. These 3 simple changes can go long way. As Prediabetes is more a lifestyle related condition, a consistent lifestyle modification can help delay and prevent Type 2 diabetes.